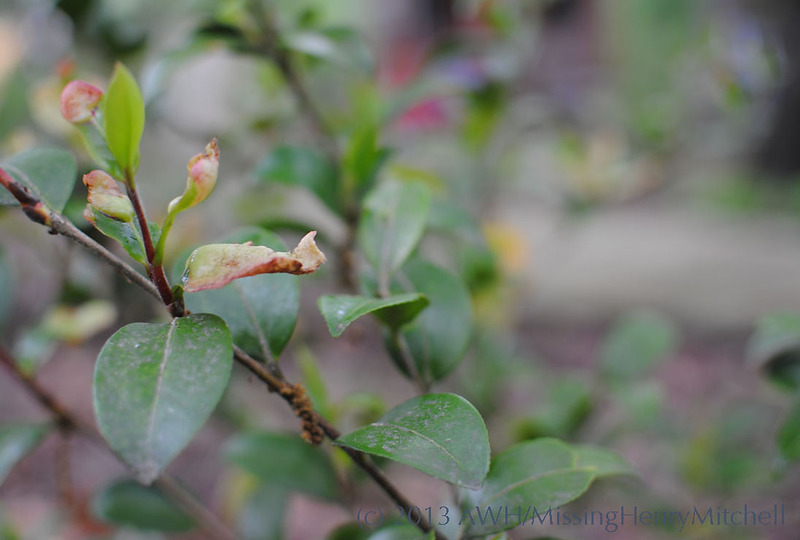 This entry was posted in 2013, Garden diseases, Garden hygiene, Garden plants, Garden problems, Gardening Basics, Ornamental Plants, Shrubs and tagged Camellia, camellia disease, garden hygiene, leaf gall, shrubs, swollen leaves by missinghenrymitchell. Bookmark the permalink. 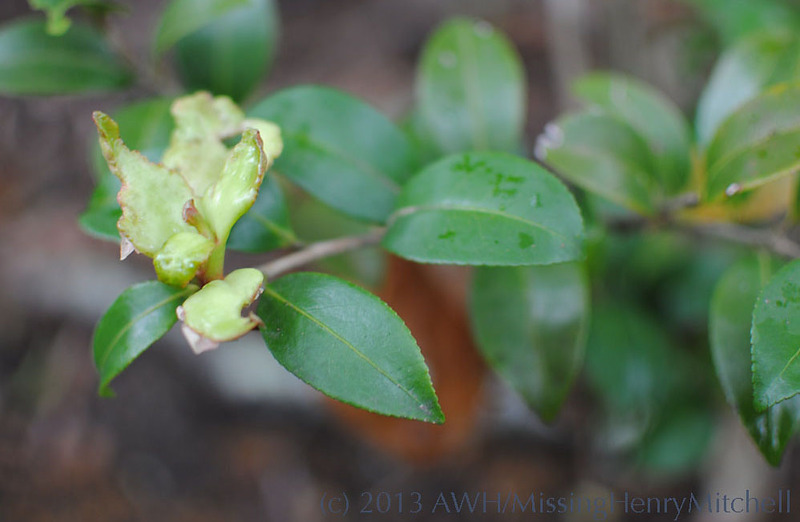 A lovely camellia that my husband bought is struggling to survive leaf gall. I tried everything that the county extension office master gardener recommended: removing and disposing of the leaves, pruning the bush to give it a more open branching for the air to circulate better (although there was not much left to prune) and move it to a sunnier location that has better air circulation (it was next to another bush). Several years later and it still has only a few cluster of leaves, but this year it had no evidence of leaf gall even though it has been an extremely wet summer. I still have hope of it recovering. I hope it recovers, too! It is encouraging to hear that it isn’t showing any signs of leaf gall this year. Stay vigilant, and please let me know what happens.